Do your efforts to excite Gen Z with science, technology, engineering and maths (STEM) hit the mark? Gen Who? Gen Z is every school child in Australia at the moment. They are defined as those born between born between 1995 and 2009, and they make up 1 in 5 in our population, and 1 in 10 in the workforce. In ten years’ time, over a quarter of Australians will be Gen Z so it’s vital that you understand what keeps this cohort interested if you are trying to engage them with STEM. Spot test: Do you speak Gen Z? How many of the following terms do you know? 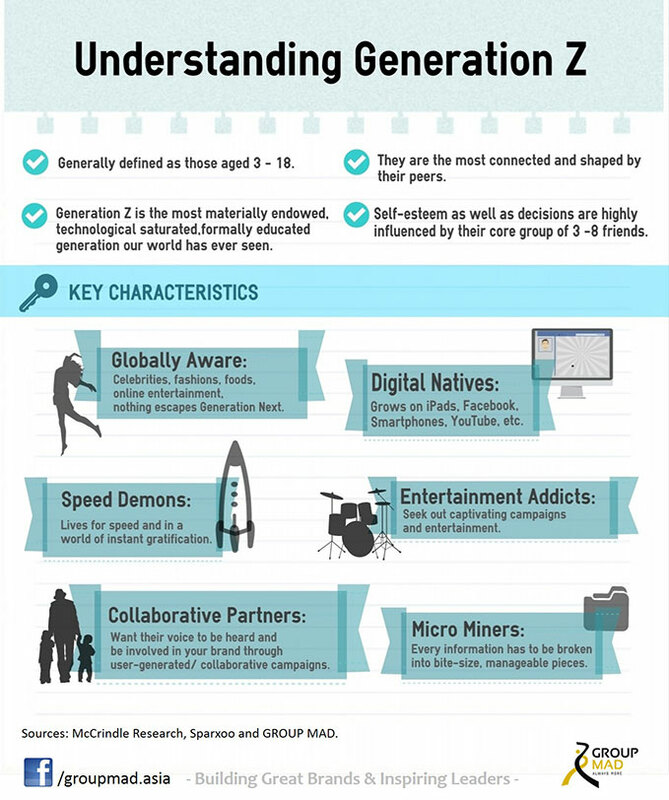 If you didn’t know more than 8 out of ten, you probably aren’t a member of Gen Z.
Gen who? you might ask, if you’re just getting your head around the quirks and traits of Gen Y! Gen Z are – basically – every school child in Australia at the moment. They are defined as those born between born between 1995 and 2009. They make up 1 in 5 in our population, and 1 in 10 in the workforce, but in ten years’ time they will make up over a quarter. But more importantly for those seeking to communicate with, or teach, Gen Z kids, you need to know they most likely have different values and think differently to you. Crucially, Gen Z are born digital, and most of our science teachers in Australia were born analogue – and as such can be considered digital-as-a-second-language, or digital-immigrants, which can put them at a distinct disadvantage when trying to understand and communicate with Gen Z. A study by Sparks and Honey in the USA found that an American Gen Z multi-tasks across at least five screens daily and spends 41 per cent of their time outside of school using computers or mobile devices. And according to Mark McCrindle, one of Australia’s leading researchers into the trends of different Gens, Gen Z’s unique way of communicating has caused debate on whether literacy standards are declining in the classroom as text-talk and “slanguage” infiltrates the written word. However it has been argued that it is not that today’s learners are failing the education system but rather that the education system is failing today’s learners, largely due to the way that information is being communicated. On several fundamental levels, the argument goes, schools are often not connecting with students and their approaches to receiving knowledge. Most classrooms in Australia rely on teaching systems and styles that haven’t changed much in over 200 years, and our ageing teacher population cannot easily be expected adapt to entirely new ways of thinking and teaching. Brains wired for fast delivery of content. Driven by graphics in learning. Not good at filtering good information from the bad. They want their education customized. You can read more about these segments at The Conversation website. That first segment, the Science Fans, have never had it so good and have never been so well serviced with programs and opportunities to engage in science and technology. They come along to National Science Week events in big numbers and they attend Inspiring Australia events too. They are the kids who take part in science challenges and science Olympiads and so on. But as for the other three segments, you’re not likely to see them much. They are not primarily interested in science. They are a little more interested in technology. Importantly though, if you are a Science Fan, they don’t know very much about you and your interests, and you might not know very much about them and theirs. Indeed when the four segments are mapped out on a horizontal line, Segment 1 are further away from the average of the population than any other segment. This means that the gap between Science Fans and the rest of the population can be considered as far as that between Gen Z and Gen X (born between 1960 – 79). So my big question is: If you don’t speak Gen Z, but are designing information or education activities for them, can you be sure they are working for kids as well as they are working for you? And the same question for Science Fans – are you sure your activities are working for the other segments as well as they are working for you and for people like you? But if you really want to reach those groups though, make sure you involve them in the design of your education and communication activities. Dr Craig Cormick is a Canberra-based science communicator. He has worked for CSIRO and Questacon and in 2014 was awarded the Unsung Hero of Science Communications by the Australian Science Communicators. This is an edited version of a talk Craig gave at the Improving STEM Education and Skills conference held in Sydney from 27-28 May.